Photo: Zdeňka Kuchyňová Nostalgia for this “taste of home” makes Czech communities abroad brew their own beer, bake their own bread and organize koláč festivities where women use traditional family recipes handed down from one generation to the next, vying whose koláče taste better and look more beautiful. 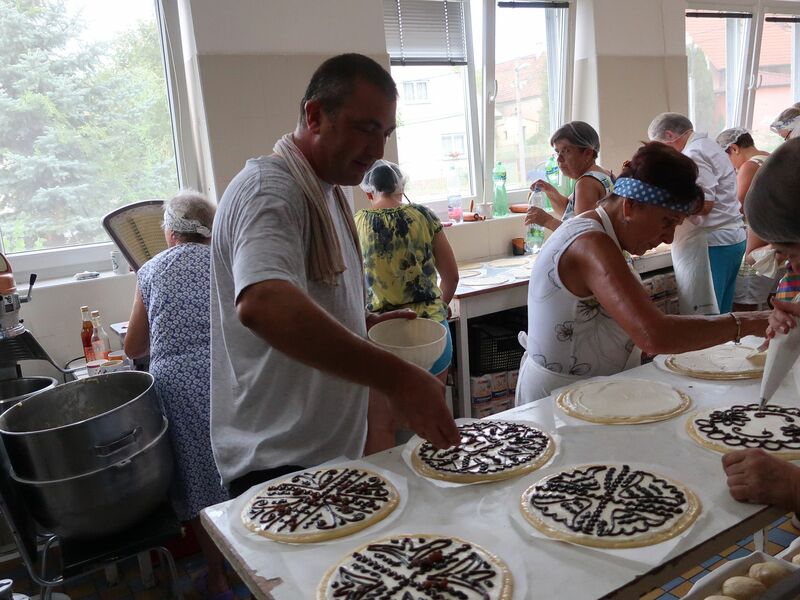 In the Czech Republic almost every family has its traditional recipe for koláče and bakes them on a Sunday, for weddings or the annual feast day. 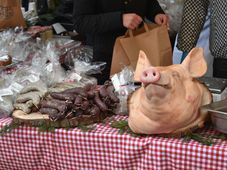 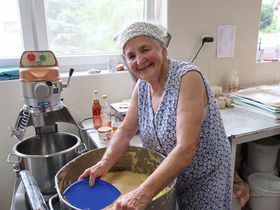 Many pastries and bakeries from areas famed for their koláče – such as the Chodsko region – now produce koláče that come close to the home-made delicacy working overtime to meet demand on special occasions. 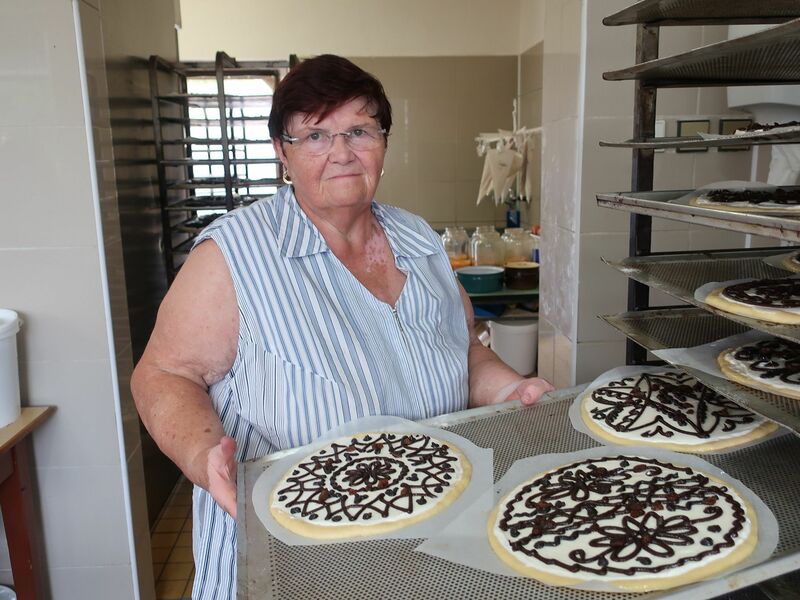 Marie Vondrovicová is the owner of a bakery in the town of Bořice which specializes in koláče from the Chodsko region. 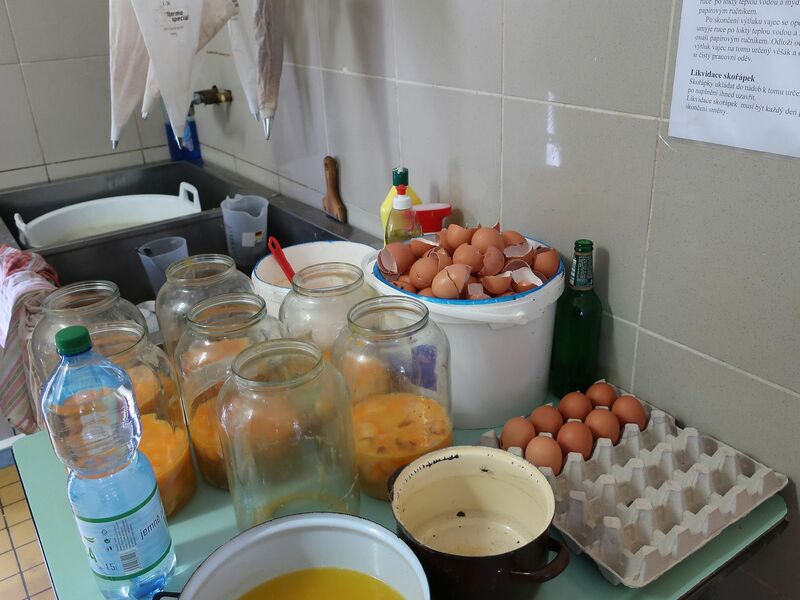 She says that the days leading up to the annual Chodsko festivities are traditionally hectic. 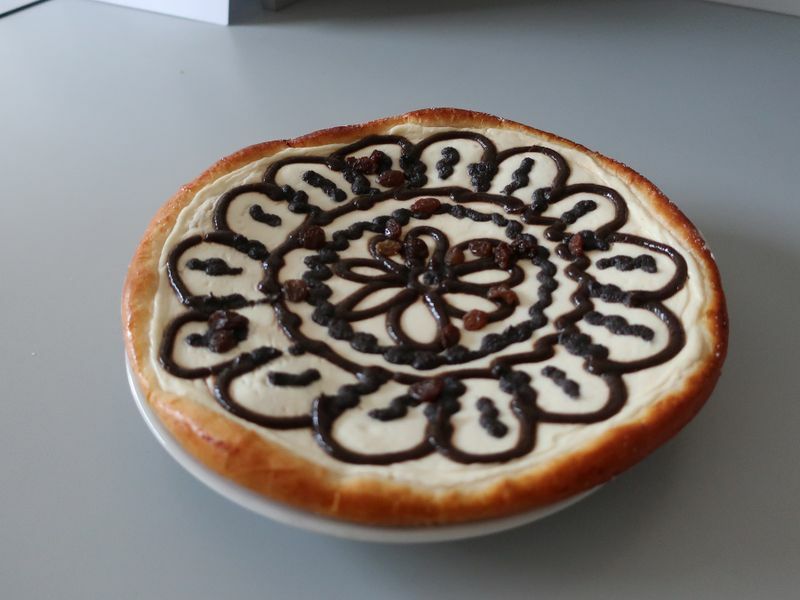 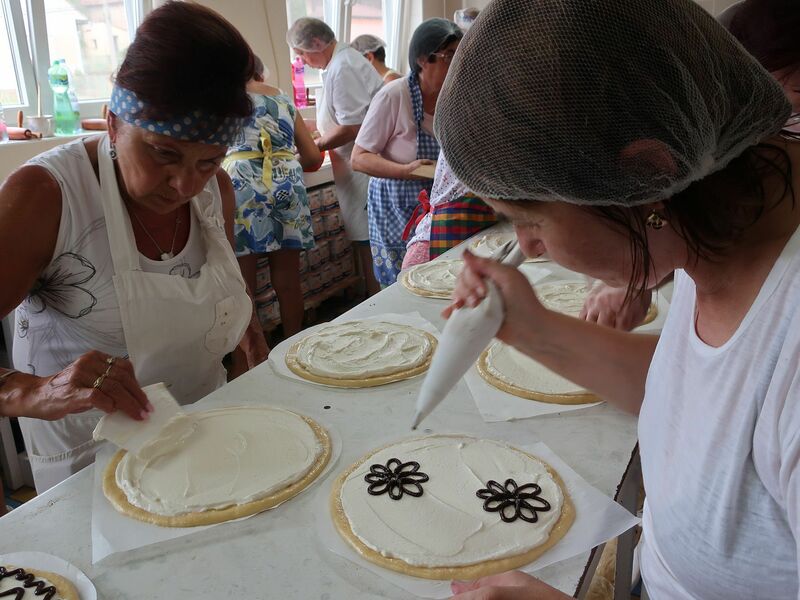 Most of these girls who are so proficient at the art of decorating a koláč started baking at home with their mothers and grandmothers around the age of nine or ten. 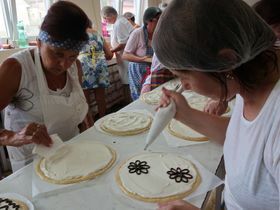 Practice makes perfect and a steady hand helps them create amazing, ornamental pies that are a feast for the eyes and stomach. 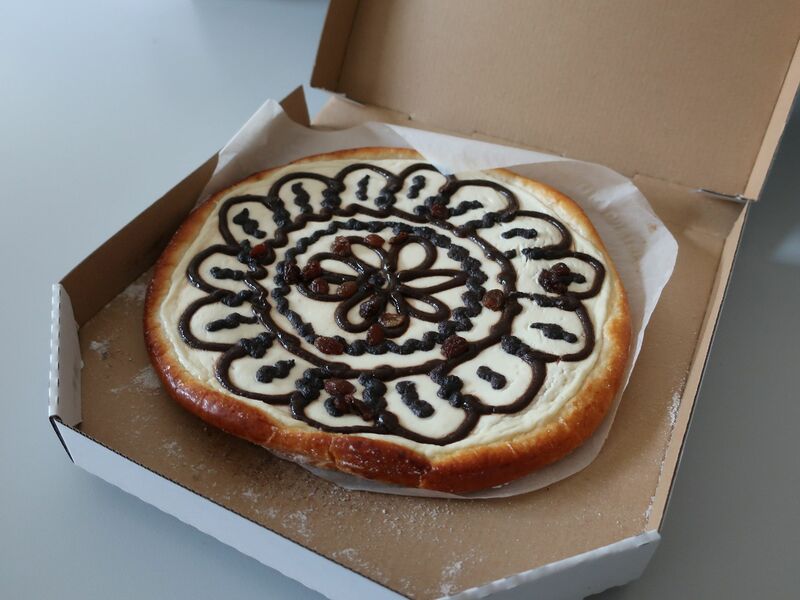 Photo: Zdeňka Kuchyňová The local delicacy is also a must for weddings –not only are they served as dessert but wedding guests receive a sample of the various kinds to take home. 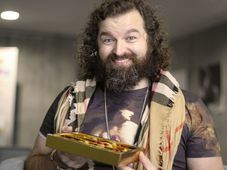 In some areas people set store by the filling – chocolate cream signals wealth, peach preserves happiness, strawberries love, farmers’ cheese filling supports wellbeing, poppy-seed filling promises fertility. 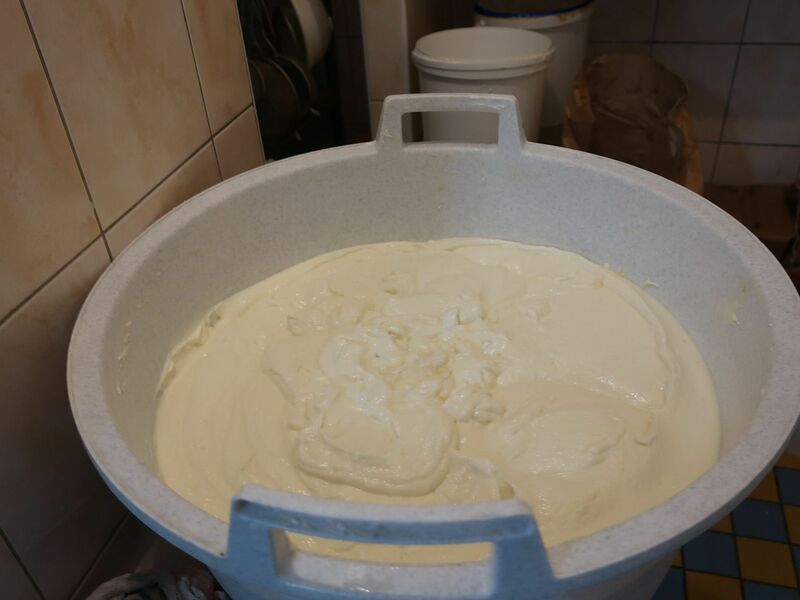 Also kolace for weddings are covered with a special paste made of cream, rum and vanilla sugar.